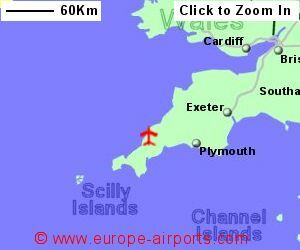 Previously shared with RAF St. Mawgan, Newquay airport has been run by Cornwall County Council since December 2008. The terminal at Newquay airport has recently been extended to cater for upto 700,000 passengers per year. An airport development fee charged to departing passengers ended in 2016, resulting in the return of some low cost airlines, and higher passenger numbers. A bus service runs between the airport, Newquay, and Padstow approximately every hour during the day (every 2 hours on Sundays). A taxi between the airport and Newquay should cost 15-20 pounds and may need to be ordered in busy times. 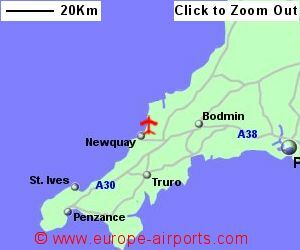 Newquay airport has 2 cafes/bars, shop, cash machine, an executive lounge and FREE WiFi Internet access. 461,000 passengers passed through Newquay airport in 2017, a 24% increase from the previous year.